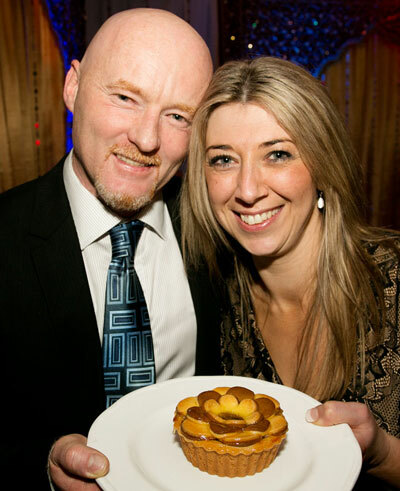 The Bakel’s Supreme Pie Award once again goes to Shane Kearns of Viands Bakery in Kihikihi. He won the competition with a gourmet fruit pie, the third time and the second in a row in the 16 years of the competition that a fruit pie has won the coveted award. Shane’s pie was a gingered peach and pear with Cointreau pie. Once again Pat Lam came through as a Gold winner in the Chicken and Vegetable category. Here’s a list of the gold winners in the Bakels New Zealand Supreme Pie Awards for 2012. I’ve only included the meat winners – really, we’re not interested in the vegetarian versions. And I’m gutted that a fruit pie snuck through to claim the top position. It’s a dessert, not a pie! Congratulations to everyone who entered this 16th competition. The GIS chappie at some stage will rename this to pies_2011.kmz and upload pies_2012.kmz to the same site. I was talking to a chappie today about GIS stuff and he mentioned he had created a Layar layer for the Pie Awards. If you have an i something or an Android device, you can install Layar, an augmented reality program which displays information laid over the world as seen through your phone’s forward facing camera. Once installed and running, search on the word Pies and you will find a Layar named “2011 Best NZ Pies” which will show you information and more on the various pie winners based on your location and in which direction your phone is pointed. Once you have chosen a winner, the layer can give you google directions to it or let you call it directly. He has a created a 2012 Best NZ Pies layer but hasn’t uploaded it yet. Also, the 2011 awards are available as a google maps layer. Unfortunately I don’t have the URL on me at the moment but I’ll post it over the next day or so. I have eaten steak/steak and cheese pies from BJ’s and John’s in Hastings. I don’t really recall BJ’s at all while John’s was ok. I recall liking the filling but not being too fussed with the pastry. I have only ever bought bread from Jackson’s (good bread!). I recall making a comment in some past pie awards about having to give them a go. Haven’t got around to it yet. I’ll also have to try Hollies some day. The place I like to get my pies from is the Angkor Wat in Waipukurau. Great pies. Good pastry and generous, well flavoured fillings. I think they are opening a branch in Hastings or Havelock soon – or may already have done so. I wonder if the person who runs the Greenlane Bakery is the person who used to own Angkor Wat. This used to be called Greenlane and was run by an asian man. He won quite a lot of pie awards (which are still on the wall along with later ones won by Angkor Wat) sold the business and moved to another town and started up another Greenlane. I think he later sold that one and moved elsewhere to start again. Hi Thrash – I think John VandenBerk’s father used to be the baker in Waipukurau when I was a young lad. Good to see that the family tradition continues!